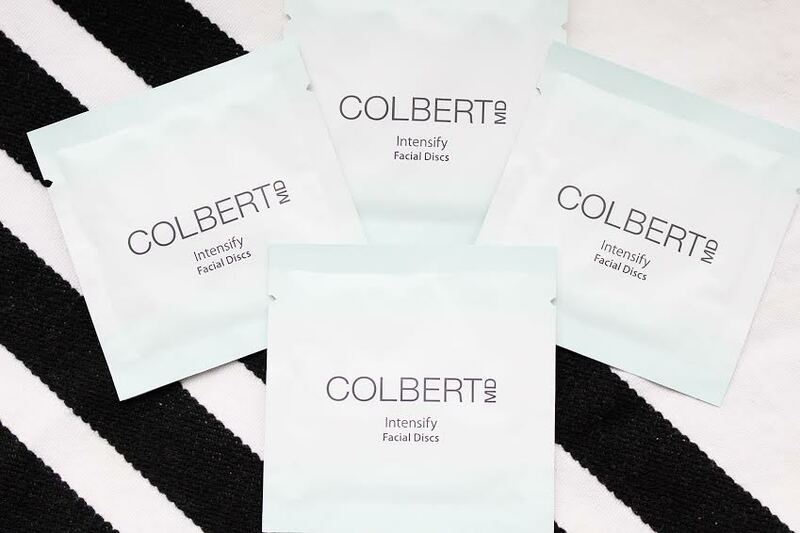 Colbert MD Intensify Facial Discs .:. Gentle microdermabrasion removes dead skin cells, assists in skins natural repair process and leaves behind a soft, glowing result. I like using this in the morning after washing my face to fully prep my skin for makeup. It’s a combination of bromelain (pineapple enzyme) which will liven up dull skin and add moisture, lactic acid to reduce the appearance of wrinkles, fine lines and hyper-pigmentation, and glucosamine for plumper, more youthful skin. The box comes with 20 pre-soaked discs… no mess, no cleanup, SO easy to use. 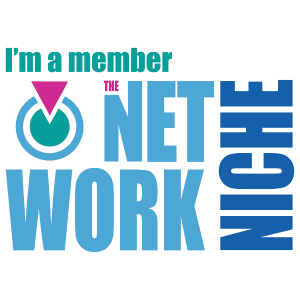 The formula is really gentle but effective and I knew right away that these were a win. I’m obsessed. 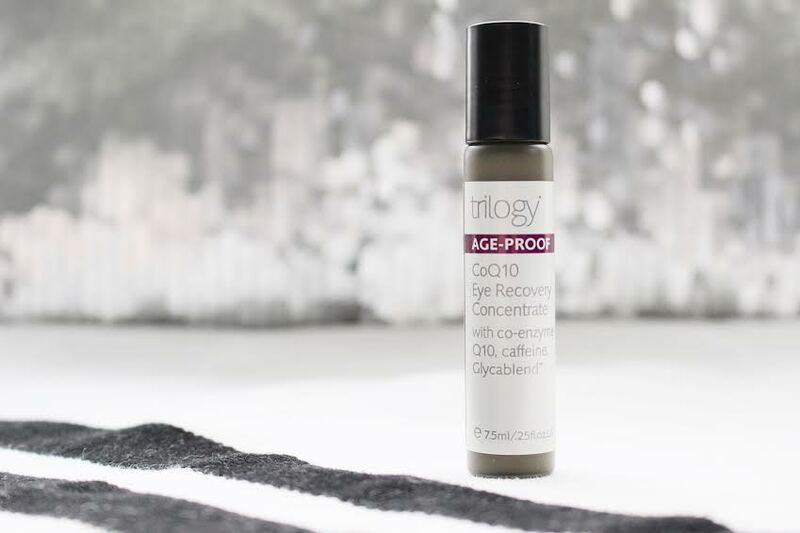 Trilogy CoQ10 Eye Recovery Concentrate .:. All natural, super refreshing and ideal for use morning, noon & night! This palm sized vile is small but mighty and the powerful ingredients without a doubt pack a huge punch. A combination of co-enzyme Q10 to strengthen and revitalize, green coffee to reduce puffiness, jojoba to firm, and horse chestnut to diminish unsightly dark circles. The rollerball allows this to apply smoothly, without pulling the skin and the product just glides right on. It’s a really nice consistency, not heavy at all and offers a soothing pick-me up feeling each time its applied. I keep this in my purse during the day and find myself reaching for it more often than I thought I would. For evening use I love to store it upside down in my fridge to reap the calming, cooling benefits and give myself a little “spa time” at home. 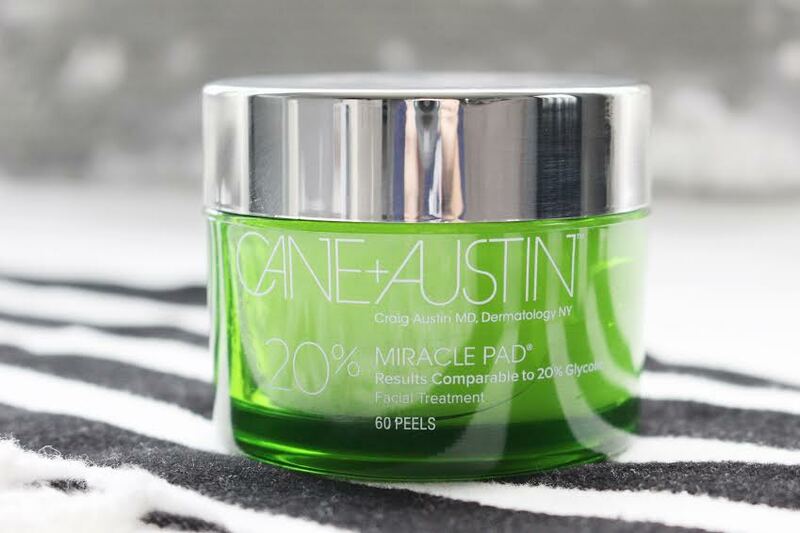 Cane + Austin 20% Miracle Pads .:. These pads mimic the results youd get from a clinical treatment. They contain glycolic acid derived from pure sugar cane to deeply exfoliate, moisturize, support natural collagen, and even out skin tone. I find these to be kind of strong, so I only use them every few days at night because they leave my skin semi-red and tingly. Even though the formula is a little harsh for my skin, I noticed a brighter complexion after a few uses so decided I would continue to use them, just space it out more. They offer a few different treatments at different intensity levels. Two to three uses per week is enough for me and leaves my skin with a healthy looking glow. 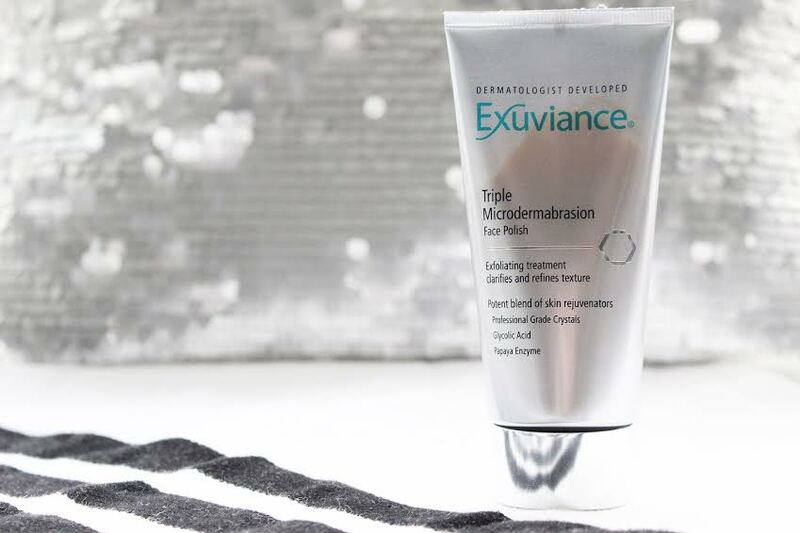 Exuviance Triple Microdermabrasion Face Polish Exfoliation Scrub .:. So if you can’t tell by now, I’m really into exfoliation! My skin is super sensitive and the simplest things cause breakouts, such as.. wearing heavy foundations, not thoroughly cleaning my face after removing makeup, climate changes.. you get the idea. I love using a high quality scrub or polish to completely remove all impurities and dead skin cells to keep my skin clear and under control. This specific polish contains 3 major forms of exfoliation, papaya enzymes, professional-grade crystals and glycolic acids to reduce the appearance of wrinkles and unevenness while boosting new cell growth. Algae and amino acids detoxify skin for a luminous, glowing end result. This is a great option to fully detoxify skin after cleansing and before moisturizing during the evening. 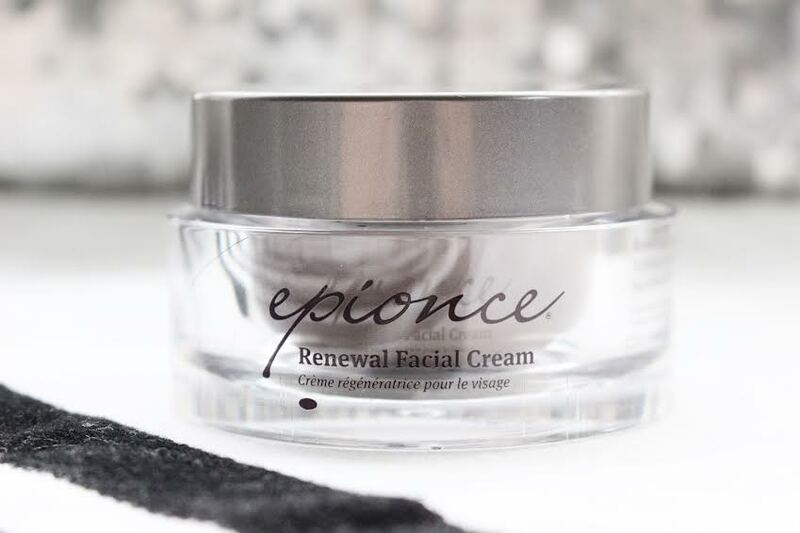 Epionce Renewal Facial Cream .:. This cream is SO rich and moisturizing, but not in a heavy, greasy way.. a very little goes a long way. It’s created for dry skin but I have combination/oily skin and only use a tiny pea sized amount both morning and evening for optimal results. After applying this in the evening, and getting a full nights rest, my skin feels just as soft as it did minutes after application. This is designed to reverse the visible signs of aging and environmental damage. 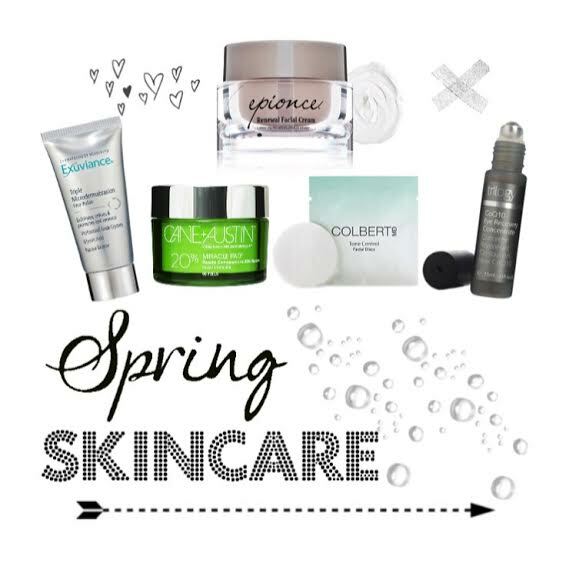 The tiniest amount will leave your skin incredibly hydrated, radiant and silky smooth. It contains a healthy combination of apple fruit extract, date fruit extract, flax extract, avocado extract and meadowfoam extract. The price is pretty steep but with the minimal amount needed for each use, this will last you a very long time.